Mr. O’Keeffe has been involved in property management, asset management, acquisition and the development of real estate for almost 25 years. His experience includes site selection, zoning approval, financing, construction and marketing of multifamily housing. He has worked for Equity Office Properties, Boston Financial Investment Management, Bank of America and was a co-founder at Arch Street Development LLC. At Arch Street he focused on the acquisition and redevelopment of historic structures into multifamily housing utilizing Historic and Low Income Housing Tax Credits. 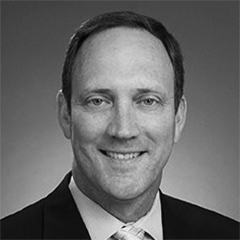 He co-founded Tidegate Capital LLC in 2014 to acquire underperforming multifamily assets for HNW individuals and Family Offices looking to participate in workforce housing real estate investments. His experience has provided him with the ability to identify value-add opportunities to maximize after tax returns through selective property enhancements and proactive property management. He received a BA from the University of Richmond and an MBA from Northeastern University.